11th Birthday Celebration – Day 9!!! Yes, you read that right. It’s Day 9 of our 11 day birthday celebration! Hasn’t it been an amazing 8 days? Do we not have the best team and amazing sponsors? They are truly the best! You’re going to love today as we have the ever amazing Marla Kress here along with a huge loot bag filled with prizes from our friends at Jillibean Soup, Cas-ual Fridays Stamps and Sizzix. Amazing right? Let’s get this party started! "Hello everyone and Happy 11th Birthday to SCT! In honor of the occasion I made a birthday card that I love to share with you all. I used a few different techniques on this card to dress it up a little. The idea for this card started with the watercolor “night sky.” I’ve been on a watercolor painting kick lately and have been incorporating stamping and embossing. So for this sky I stamped white cardstock with stars using versamark and embossed them using gold sparkle powder. Then I was able to watercolor paint over the embossed design to create the sky. I stamped the sentiment onto the sky once everything was dry. To create the three gold accent stars, I used Therm O Web’s gold deco foil. I cut three different sized stars out with my Silhouette machine, ran them through my xyron sticker maker and rubbed them onto the gold foil. It’s really like magic and such a fun product to have on hand to create customized embellishments. 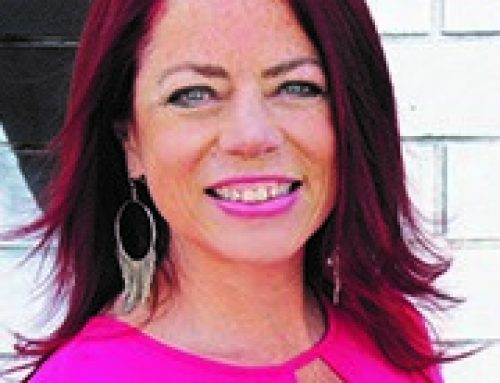 Thank you Marla for your birthday wishes! Celebrate with Scrapbook & Cards Today and Jillibean Soup! Our new Souper Celebration collection is perfect for all ages, boys and girls, young and slightly older. 🙂 Our new birthday collection features adorable llamas in party hats and funny alligators with balloons. We still have the always popular pea-pod parts and coordinating stickers as well as new puffy stickers and trendy wood veneers! Happy birthday SCT! CAS-ual Fridays Stamps takes celebrating very seriously, so seriously that we don't believe a birth"day" is enough and we'd like to start a petition for birth"month" to take over! Happy Happy Birthday to SCT! You don't look a day over fabulous and we're so excited to be able to celebrate with you by offering a fabulous prize package that includes 3 fun stamp sets. Wishing you hugs, cake and lots of birthday shenanigans! WOW! Another big day of prizes! 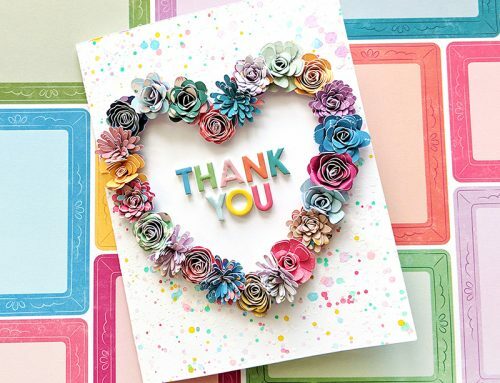 Thank you Marla and to all our friends at Jillibean Soup, CAS-ual Fridays Stamps and Sizzix! A perfect Day 9 wouldn’t you say? For an opportunity to win today’s prizes be sure to leave your comment by March 31st. All winners will be randomly selected and announced on April 3rd! Good luck! Do you know what tomorrow is? Day 10 and it’s another great day as we lead up to our final prize giveaway on Day 11! We'll see you then! If this is your first day joining us, please be sure to start at day 1 here! Wow and double Wow. Those prizes today are really awesome. You certainly know how to celebrate – Congrats on 11 years! Beautiful card and an amazing celebration! Cute card! What a great prize pack! Happy Birthday SCT! Thanks for the great birthday celebration! Such fabulous birthday surprises! Thanks to Marla for her cool card, and thanks to your sponsors for the chances to win! Happy Birthday, SCT! Love this Jillibean Soup line….and how fitting are all of the awesome prizes for a birthday celebration!! Love the HB2U! More great goodies today to celebrate SCTs 11th Birthday! Thank you Jillibean Soup, CAS-ual Fridays Stamps and Sizzix! Thank you to Jillibean Soup, CAS-ual Fridays Stamps and Sizzix for such awesome giveaways!! I love Marla’s birthday card. Happy Birthday 11th SCT! Awesome prizes! I would love to win! Happy Birthday SCT! Wow, what a really cute and fun card. Love the creativity that has been shared. Happy Birthday SCT. What great give aways today. I can never have too many birthday themed supplies, sine I make tons of birthday cards and layouts and occasionally some decor. Thanks for the chance to win! Love the card.. Awesome prizes today. Thanks for the chance to win.. Happy Birthday!! Another day of sharing, keep those birthdays and prizes coming! Great prize pack! Happy birthday SCT! Incredible prizes & wonderful cards! Didn’t ever think to use my xyron for adhesive when I wanted to add foil, but now I’m going to give it a try! Oh MY Goodness this is Super Big prize. Oh I wish it was my birthday. This giveaway from Jillibean Soup CAS-ual Fridays Stamps and Sizzix is totally awesome. I love it, these guys are the best. Happy Birthday SCT, I am loving YOUR birthday. Another awesome project and amazing prizes, wow! Each day gets better and better. All the sponsors have been so generous. An amazing loot bag today! Love the card too! Thank you SCT – you never cease to amaze! What a great way to celebrate your birthday!! Have fun reaching the 12th. We’ll here right along with you. Lovely card and amazing prizes . Happy birthday. Such a fun card. More wonderful sponsors!! Love all the stars on the card and fabulous giveaways. Wow and Wow…. awesome prizes for a fun birthday celebration. Thank you for the inspiration! I always shy away from water coloring….going to have to give it a try! And once again your partners have come up with great prizes! Happy 11th! Happy Birthday! Thank you to Jillibean Soup, CAS-ual Fridays Stamps and Sizzix for the wonderful prizes. Two fab cards! Thanks for the chance too win. Thanks to these three generous companies for their awesome giveaways! Beautiful card, a bit of foil always looks great! Awesome prizes, thanks to Jillibean Soup, CAS-ual Fridays Stamps and Sizzix for helping celebrate SCT 11th birthday! Wow day 9. What a great birthday card all that glitter and shine so pretty thanks for sharing. Also thanks to Jillibean soup, CAS-y’all Fridays stamps and Sizzix for their generosity. Happy day 9 Birthday scrapbook and cards today. Day 9 already?!?!? Thank you to today’s three generous sponsors. Super cute projects and great prizes! Thank you for the chance to win them. Love your stars and card. Happy Birthday and thank you all for the great prizes. Fun card…love that birthday collection from Jillibean Soup…I can never have enough birthday collections. And CAS-Fridays is one of my favorite stamp companies. Thanks for a great giveaway. And, Wow is right…some awesome, awesome prizes! And, Wowzers, Love the stamps and dies from Casual Friday and Sizzix. Great prizes. It has been a great week so far. Lovely card and great prizes. Thanks SCT and sponsors. Wish my 11th birthday had been this awesome! Great card and fabulous prizes! More great companies. Glad they are helping SCT celebrate! Happy #11. Love all these presents. Thank you Sizzix, Jillibean Soup and Cas-ual Fridayfor sponsoring day 9. Love the card! gorgeous card -& great sponsors! Wonderful prizes! I especially love the Sizzix prize pack. Thanks for the chance to win! Wow I love these cards!!! My friend and I make cards and I am going to bring these to her next week so we can make them. Happy birthday SCT, already day nine of your celebration!!! Thanks to the generous sponsors. Happy crafting everyone!!! Such a festive card! Happy Birthday! Another wonderful giveaway! Love Jillibean Soup’s birthday line- so versatile. Love the card! I have never used any watercoloring on layouts or cards. I need to give it a try! Thanks for sharing all of the yummy looking prizes! Fun projects today and lots of fabulous prizes! Again with a great prize pack! Thank you SCT, Jillibean Soup, CAS-usual Friday Stamps and Sissix. Happy Birthday!!! Congratulations on 11 years. I’m really enjoying your celebration week and all of the great giveaways!! Love your giveaways!!!! Happy, Happy 11th Birthday!!!!! Love the colorful paper collection! Happy Birthday SCT!!! Awesome prizes today as well as awesome inspiration from your design team! WONDERFUL card, LOVE the watercolour background, LOVE the gold embossing and foiling too! That is such a lovely card and those are wonderful prizes! Love this sparkly card! The foiled and embossed ✨ are lovely! The three additions to today’s loot ? are totally amazing! There are going to be some very ? people when they find out they have won these fabulous prizes. Hoping to be one of them! Thanks for the chance to be a winner! Wonderful birthday cards. Thanks for the inspiration and chance to win prizes. Such amazing birthday giveaways! Thanks for the chance. ? Wonderful birthday card. Love the stars, perfect for a celebration. Wonderful prizes again today. Three awesome companies and great supporters of SCT! Cute cards and great prizes! Thank you to Jillibean Soup, Cas-Ual Friday stamps and Sizzx for the wonderful prizes. Great cards! Great giveaways! Thanks for the chance to win! Ooooh, fun prizes! Thanks for the opportunity to win! I’m loving all of the wonderful creations in celebration of the 11th birthday of SCT!!! Love the bright and fun colour of Souper Collection ! I love celebrating birthdays with a card, flowers and some cake. Happy birthday SCT!! Oh how fun! I love the Sizzix card… OK actually I love all of it! Happy 11th birthday! What a cute card. Happy birthday thanks for sharing it with all of us. Cute cards!! Happy birthday and thanks for the chance to win!! Another day of great prizes!! Love the awesome card! Happy, happy birthday! Beautiful cards, gifts, inspiration! Love it! Thanks for your generosity during your birthday celebration — and always — for the great ideas!! Cute cards! I am always looking for more birthday ideas. Thanks! Fantastic creations and fabulous sponsors. They rock!! I make a lot of birthday cards so these samples and prizes are must-haves! Love Jillbean soup and Sizzix!! Super Duper Happy Birthday it has been! Wonderful prize day and thank you for including me! Yipee!! Happy 11th birthday and thanks for the chance to win such awesome prizes. LOVE that birthday collection and can always use birthday ideas. I have two little girls so we attend a lot of parties. I Love the birthday card! Some awesome techniques rolled into that one! Thanks for the inspiration. Another wonderful day of amazing sponsor prizes! Happy Birthday SCT! You deserve so much happiness and love during your amazing 11 year birthday bash! Wow! Amazing products! Happy birthday SCT! Wow is right! These are amazing prize packages! Fab prizes! Those wood veneer have my heart! Thank you for the lovely giveaways. Awesome prizes for today’s celebration! Thank you for a chance to win!! Awesome prizes! Love the cards! holy smokes!! !amazing prizes!! Loving that card! Adorable cards! And the prizes are amazing. Happy, Happy, 11th Birthday! Happy Birthday! Great birthday card!! I hadn’t thought of using adhesive sheets for adding foil to items. What a great idea. Thanks so much to all of your sponsors! Wow what great give aways! Love all the ideals for cards and scrapbook pages. Happy 11th Birthday SCT. Wow, those are amazing prizes! Thanks for the chance to win! Wonderful sponsors and fantastic prizes! ❤What a beautiful card❤ I definitely plan on scrap-lifting some of the techniques(ex:I never knew deco foil was THAT easy to use!!! ) This would make a wonderful Mother’s Day card since my mom is a HUGE beach lover! Thanks for the inspiration and for the great opportunity to win such fabulous prizes, Happy Birthday SCT! It looks like an awesome fun celebration, love that card too. SCT you always provide, so much inspiration, Happy Birthday again and many more. Love the cards. What an awesome giveaway! Love the cards, great inspiration!! What a great prize lineup, thanks for the chance to win!! I love Jillibean Soup–the colors of this kit are so happy and perfect for celebrations! Such a fun star studded card! Just love it! Wonderful prizes from the sponsors, today, too! Happy 11th Birthday SCT! Love Marla’s pretty card & the gorgeous shine of the foil. SCT….day #9….yet another awesome day from your sponsors! What adorable birthday cards. 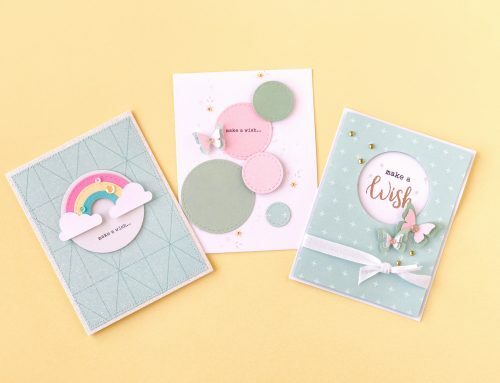 Stamps, paper, dies……WOW, so many new tools to use to create these lovely cards. Happy birthday! Great idea and wonderful prizes. I’m going to copy that card, I love it. Fantastic prizes. Great card, great prizes and a big Happy 11th Birthday SCT. Happy 11th birthday SCT! What fantastic sponsors you have for your big day! I love that you GIVEAWAY presents on YOUR birthday! Oh Yes!!! a perfect day 9. Three more awesome companies – Jillibean Soup, CAS-ual Fridays Stamps and Sizzix! What great cards! Feeling inspired! THank you SCT!! What a fun happy card for a birthday! Happy Birthday SCT! Thanks for amazing prizes. Awesome projects and prizes! This is really a great birthday celebration! Thanks. What an amazing prize pack! Thank you so much for the chance to win! Thank you Jillibean Soup, CAS-ual Fridays Stamps and Sizzix for a magnificent prize! The winner of that one will be one lucky crafter! I liked the way Marla mixed the mediums. The result rocks! Very cute card. Love the stars/starfish. Great prize package too! Oh my!! What an amazing giveway!! I’ve been loving all the inspiration you’ve included in your celebration of 11 years! Thank you for the chance to win! Happy Birthday Day 9! Thanks for sharing! Fab card, love your colouring technique! And amazing giveaway too, I’d love to get my inky fingers on that! Happy 11th birthday! Thanks to all the great sponsors. How cute are these?! Love both of these prizes! Thanks for the chance to win! I love all the projects. Great giveaways. Happy 11th birthday. Another great way to celebrate. Great projects. Another great day of celebrations. Love the birthday card! Wishing SCT many more years, making fabulous memories with all of us!!! Thanks for the chance to win such awesome prizes!!! Wonderful card, and thanks for the tip on using the gold foil! More fabulous prizes today – thank you so much for all the chances to win something wonderful! Such amazing sponsors! Thank you to all of them. Happy Anniversary SCT! Great card! Thanks for the tip about using the Xyron sticker maker with the foil. What great designs for some exciting b-day cards!! Just delighted & appreciative of the lovely prize PAC too!! HB – SCT ? Happy 11th Birthday SCT !!! Such beautiful sponsor prizes !! Beautiful cards! Thank you for such amazing giveaways! Wow, what wonderful prizes. Thank you for the opportunity to win one. You have the best partners for your Birthday celebration. Another great day!! Such great inspiration and amazing companies! Gotta love birthdays! Fabulous prizes from fabulous sponsors! My birthday is this week as well and I have a Sizzix Die Cut Machine on my wish list! I make a lot of birthday cards, so am always on the lookout for birthday-related stamps. Thanks for the awesome giveaways and happy birthday SCT! Each of these countdown posts have been filled with inspiration. Happy Birthday! So fun. love those stamps! Thanks for the chance to win! I’m truly excited to possibly win this! I adore Sizzix. Just spoke to them today about an order. Thank you for sharing this with us for your birthday celebration. ALL SMILES FROM ROSWELL, NM! Yes!!! Beautiful work!! Happy Birthday!! Love the fun products in all of these packages. Such cute birthday themed items. What a gorgeous card, Marla. Perfect for Day 9! Loving the sponsored prizes as well. One cannot have too many birthday crafting goodies! Another great project. Wish I could celebrate my anniversary as creatively! What darling cards! Amazing prizes from all the sponsors! Super cute! I need that donut paper from Jillibean! Love the stamps/card!! Thanks again for the chance to win!! What a cute collection from jillibean! Adorable!! Yes, please! Love it all. Another great prize package. Happy birthday SCT Magazine and thank you to all of your wonderful sponsors. Happy 11th birthday, thank you for all the prizes! Happy Birthday! What a great prize..thanks for the chance to win one! Wow, what fun stuff! Thanks for such a fun celebration! Adorable cards and fun Birthday celebration going on..Great sponsors.. With awesome goodies to play with…Thanks for this chance.. Happy Bday! Really cute card! Wow! The dimension in that card is awesome! Thanks for great ideas! Super cute card! Loving the gold stars! And thank you for sponsoring so many great prizes I am in heaven just looking at all the fun stuff! Crossing my fingers! Who wouldn’t want to celebrate with these nice prizes!!! Happy Birthday!! Fun birthday giveaways. Thanks to the sponsors. Awesome Day #9 giveaway! Love Jillibean Soup and Cas-ual Fridays! Happy 11th! What a darling birthday card. Happy birthday! Wonderful ideas and great prizes! Much love and birthday wishes SCT!! A beautiful card from Marla. And exquisite prizes from Jillibean Soup, CAS-ual Fridays Stamps and Sizzix. Happy birthday, SCT. Great prizes to celebrate your birthday! Beautiful cards, love the layering! Happy 11th Birthday! Grateful for the wonderful prizes. Thanks. Such a pretty card! Really love the water color background! Sending you lots of love on your birthday SCT! Happy Birthday to you!! 11 years and counting. Congrats on the 11th birthday!! I love all these companies, they have made it easy for me as a beginner to get going in the card making department. 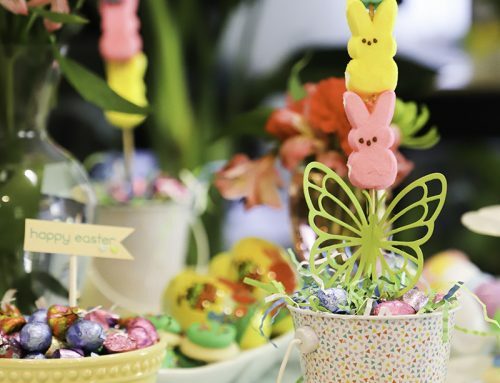 Love all of the bright colors in these projects, it makes me think spring is really coming! Like the colors on the card. Love love love Sizzix! The Wish Big card is really cute! Beautiful card! The background is so pretty ? Love the make a wish card!!!? Beautiful and sweet creation, thanks for a chance to win! Both of the cards are absolutely adorable! I kind of feel like this is a countdown to my own birthday later this week! Thanks for the chance to win such amazing prizes! Wow wow wow what a great givaway . 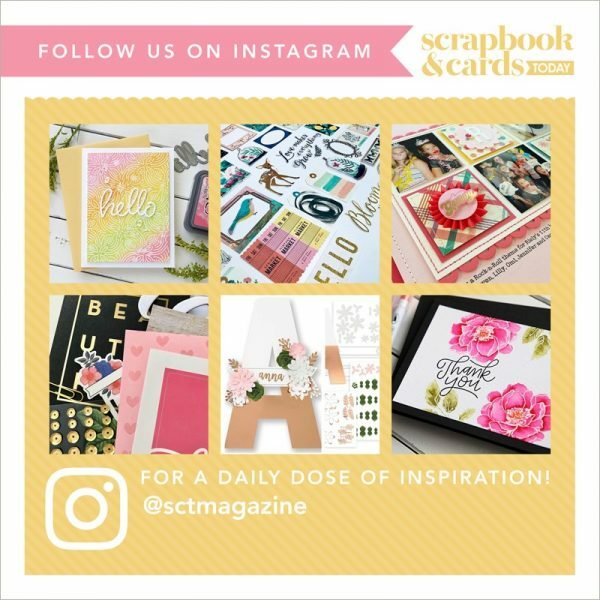 I love it and I am a huge fan of everything scrapbook and cards does. Celebrate good times come on!!!!!!! Thanks so much! For the opportunity!!! Fun cards, what great prizes. Thanks for chance to win! Great prize pack from Jillibean Soup, Cas-ual Fridays Stamps and Sizzix. Such creative ideas today! Marvellous card! I love bday collections. Fun happy cards and terrific prizes again today! Thank you to your wonderful sponsors. Such great prizes. Happy Birthday! Love the inspiration today! Fantastic prizes by great companies. I celebrated my 40th and 50th birthdays by spreading little treats to myself 20 and 25 weeks ahead of and after the “big” days. It made them really special to me. Fun card by Marla. I love the water colored sky. Wow, awesome loot bag for today. Birthdays can be so much fun. Happy Bday, SCT. Happy Birthday!! Love the card! Love the stars on the card and the beautiful giveaway. Thanks for the chance! Cute cards. Awesome give aways. What a great card! Love the mixed media feel and the bright and bold colors. Would be a great technique for a masculine card! And I’m loving that giveaway with the CAS-ual Friday floral background stamp! More great prizes and love the card. It just keeps getting better and better. Celebrate good times, c’mon! Amazing! Once again! If the next 11 years are this good, we’re all in for some scrappy awesomeness! How much fun are these projects and prizes! Thanks for the chance to win one! Congrats on 11 years! So much fun! Oh my, that llama on the JBS paper is just too cute! Thanks for the chance to win. Happy 11th! What a celebration from all these wonderful sponsors. Love it! wow! Another great day of Celebrations!!! Great Sponsors too!!!! So much fun!!! Thank you for the giveaways! Happy Birthday SCT. Each day gets better and better. Thank you to Jillibean Soup, CAS-ual Fridays Stamps and Sizzix for such awesome giveaways!! Yes, you do have the best team and amazing sponsors. Fun prizes! Wow! Thanks and Happy Birthday! Marla’s card is cute to boot! Love the colours she chose to work with. at a lose for words!! wonderful!! Such a fun birthday celebration! Love the card. It’s fun seeing all the lovely creations and great prizes. What a great celebration it has been so far! I really love the background on the card, I will have to give it a try with my watercolors. The paper looks so bright and fun to use. Happy Birthday. Thanks for the amazing prizes. I love Sizzix and Jillibean! Thanks for the inspiration, and for sharing all the goodies. Love the gold stars, they really add sparkle to a great card. Love the bright and bold colors!!! Cute idea! Happy birthday SCT! Thanks for sharing and thanks for the great giveaway. Adorable card! Love the prize! Happy Birthday! I’ve just started card making…the sponsors you’ve chosen are fantastic and so perfect for anyone who makes cards! Wow! Just wow! So much fun stuff! Love Birthday paper… You will never run out of birthdays to scrapbook (well, not for a long time anyway, lol!! Thanks for all that you inspire us to do! Cute cards – love the watercolor idea! I just love folks who give gifts on their birthday rather than get gifts. Thanks! These prize packages are amazing!! Happy Day 8!! Very nice card and amazing giveaway. Congratulations on 11 years. Happy Birthday SCT and thanks to all sponsors!!! Every day just keeps getting better. Fabulous offerings again today. Here is wishing for man more birthdays!! That’s what I call a celebration! Jillian Bean Soup is a favorite line of mine. Happy Birthday SCT! Wonderful card…all prizes are awesome. What great prizes. Happy Birthday! Jillibean soup one of my favorites, thanks for such great prizes! You have achieved eleven years of greatness! Way to go! Great prize pack – just love the Llamas! Happy 11th Birthday!! Love you guys. So lovely – thank you for your generosity SCT! Happy birthday. Love the cards! Great prizes to celebrate a birthday! Thank you! I am running out of adjectives to describe how great these prize packages are. Once again Happy Birthday and mega thanks to the sponsors. Great stamp sets! Some awesome prizes! Thanks for the chance to win! You just keep outdoing yourself on the prizes!!! Awesome card! Jillibean is one of my favorite companies, that line looks amazing. With four kids, there’s always a need for birthday stuff. Can it even get better??? More dies and stamps! Yes! These prizes are fantastic! Great card Marla! I have to take the plunge soon and try the foil on my paper crafting products. I don’t have a foil machine but your method with the adhesive would be a great way to start in slowly to figure out how I want to use it. Thank you for sharing the way to get going with it. Happy 11th Birthday. Thanks you for all the great prizes and great work your staff has done over the last 11years. Cute projects too!! Beautiful colors! What fun it will be for the lucky winners to use these products! Thank you! Great prizes, and awesome sponsors! Beautiful card! Love the giveaways. Cas-ual Friday stamps are so wonderful along with Jillibean soup and Sizzix. Thanks for the wonderful magazine and Happy Birthday! Loving all the great ideas and prizes. What a great way to celebrate! The banner is great–what a nice celebration card. Happy 11th birthday SCT! What a great celebration! Happy 11th and thanks for such a great birthday “party”!! Thanks to your great sponsors for such fun prizes! I love SCT magazine and these awesome companies for their amazing supplies! Thanks for the opportunity to win! Happy birthday! Cute card and awesome prizes! What a most awesome Birthday celebration this is! Wonderful prizes and great project! Wow, can’t believe all the prizes! Such fun! Thank you to you and all the other sponsors of the give-aways! They are all great! Perfect way to celebrate SCTs birthday! Thanks for having me! Beautiful prizes. Thank you for the opportunity to win! What a beautiful birthday card! I love all that gold! Love the birthday card…so creative!!! Happy birthday SCT and thanks for sharing with us!!! Fabulous card, fab prizes AGAIN! Another great prize package. Love the colours of the papers and embellies. Those stamps are amazing and the Sizzix package is very generous. Love their stuff. Stamps and paper! what a great combo! Thanks for the opportunity!!!! I love this card – such a cute idea. Great cards and another wonderful giveaway! lovely prizes! thank you for the chance to win. Love the background on this cute card. Thanks For the tip of stamp and embossing before watercoloring. I also love watercoloring!!! Great prizes yet again. Thanks SCT. Great prize package and great sponors. Great card, I can’t believe all the great prizes each day. Thanks. Thank you again for the fun of trying to win! what a wonderful day of prizes, love the projects! Very cute cards. Thank you and Happy Birthday. Super prizes today! Thank you sponsors for your generosity, and Happy Birthday SCT! A very festive star card. This would be great for a graduation card. I love the birthday themed giveaway. I love the use of the gold for the stars on the watercolor. Thanks for the great idea! Such a cute card and great birthday collection. How fun. Makes me want to create. Love the watercoloring on this card! And this is a great giveaway! Lovely card and wonderful prizes. Wow–you could make great cards with this prize! cute cards. Happy 11th Birthday . SCT you are wonderful! Happy Birthday and thank you! Another great day of projects and wonderful prizes! The card is definitely a winner with me! Happy 11th! Fabulous cards and fabulous prizes! Thank you SCT and sponsors. Beautiful card!! Thanks for another opportunity to win a fun prize. Another awesome gift package. Thank you! Jillibean soup is always so much fun! Super sweet giveaway and thanks so much for the chance to win. What a fun assortment of birthday giveaways! Wow love all the birthday love in this prize! So great, thank you! And Happy Day!! Beautiful card and wonderful prizes. Thank you for the chance. Three amazing companies! And great inspiration! Another great day and giveaway! Thank you sponsors and Happy Birthday to SCT! Yay! My but those cards are pretty. Thanks for sharing. Happy 11thnBirthday birthday. Thanks for sharing some goodies. Cute card! Today’s prizes are awesome–love the Souper Celebration collection! Thanks for the chance to win, and happy 11th birthday!!! Love all the great ideas! Thanks for the fantastic giveaways! Happy Birthday! Love the stars card! Another fabulous prize pack too! Fabulous card and awesome sponsors. I’m sure getting excited!!! SO BEAUTIFUL!! Love seeing so many new products and being introduced to new companies. Such great cards. Thank you for sharing and thank you for the chance to win. The prizes just keep getting better and better! Thanks again for sharing your birthday fun with us SCT and to the sponsors for the giveaways! Lovin the cards …..thank you for the inspiration. Happy Birthday!!! Whoop! Whoop! More wonderful prizes, and birthday celebrations!! Love birthdays!! Love that Jillibean Soup collection and I have my grandson’s birthday just waiting to be scrapped. Great prizes and beautiful card! Happy Birthday SCT! Yet another day of fabulous sponsors & giveaways! What a great way to celebrate. Love birthdays Happy Birthday SCT!! Wonderful presents from such great sponsors, thanks Jillibean Soup, Casual Fridays Stamps & Sizzix, you’ve outdone yourselves once again. Puffy sticker llamas are the best! Thank you so much for all the inspiration you give to us each day! Happy Birthday!! Lovely cards! Thank you for the great giveaways! This prize is So much fun! Thank you so much for the opportunity to win, and good luck to everyone! Wow such amazing products for today too. Love them all and learning new techniques…win win for sure. I love stamps and dies! I love SCT! Thanks for the chance to win wonderful prizes! SCT has the best “friends” and sponsors!!!! We appreciate your relationships helping us crafty people to win prizes!!!! Thanks for all the super cute projects and chances to win!!!! Great sponsor giveaways! Someone will be busy crafting with all this goodness! Great prizes. Happy Birthday 11!! Wow wow great prizes! !The card is really cool too! This is all so awesome!! Neat card. What a fun birthday celebration! So much fun! Great giveaway! Happy 11th Birthday! Would love to win any prize!! Love these cards! You have the BEST birthday celebrations! Love that card and again the prizes are very generous. Happy birthday and what a great way to celebrate. Thanks. Great prize pack! Love the Jillibean Soup collection! Love to win. I’d be ready for all of the birthdays in my life. Love the card! Happy 11th birthday SCT! I get to celebrate 2 Crops with you this year! Another great day of prizes. Your sponsors are amazing. Happy Birthday again. Amazing birthday celebration creations! Thank you for ELEVEN years of inspiration! Celebrating the people I love the most is my favourite times to scrapbook!! This is perfect! such generous sponsors, wonderful prizes and inspirational ideas, thank you. Love these cards especially the star one. So pretty and love the gold stars. Great giveaway! Happy birthday! Cute cute cute! I have my fingers crossed! IT would be so amazing to be able to try these great ideas. Congratulations on 11 inspiring years! Love card layouts – I’m doing more and more cards these days! Wow I’m loving all those prizes today! Happy Birthday SCT and thanks to your sponsors! Beautiful projects today, What a great celebration. I wasn’tsite. familiar with CAS-ual Fridays Stamps, so I had to go right to the website. I’ll definitely be shopping there. I’ve looked all over for breast cancer awareness stamps—and voila! Happy Birthday SCT and thanks for all the great birthday gifts. Great giveaways for a great big birthday! Souper Celebration!! Man, I love Jillibean Soup stuff. I’ve not heard of CAS-ual Friday stamps before, but now check them out thanks to SCT. I hope they know that they will now be flooded with happy SCT peeps! Beautiful! I haven’t tried watercoloring yet, and I haven’t embossed lately! Maybe it’s time to get them out and try something new! Love-love-LOVE!!! Jillibean Soup paired with Sizzix and CAS-ual Fridays Stamps—this is a win-win for sure! Happy Birthday and thank for the chance to win! Great birthday cards! Love the shaker one. Love all the gold in the Make a Wish card. Thank you for the chance to win! Jillibean and Sizzix are two of my favorite companies! And thank you for introducing Cas-ual Fridays Stamps! That is what I love about SCT – always sharing new companies and their products. Would love to win this prize package! What a fabulous prize pack! Great prizes! I’m going to run home tonight and give the Xyron a whirl for the foil! What a great idea!!! Such adorable cards! Thanks for the giveaway and happy 11th birthday! Love these prizes: Jillibean,, Cas-auk Friday stamps, & Sizzix. Very generous! Thanks for a chance to win. Job well done. Amazing giveaways for us on your 11th birthday. I wanna give you all a big high five! I love the list of companies along the side of the page here so that I can visit them. Wow – what wonderful prizes! Thanks to the sponsors and to SCT for the chance to win! What a fabulous card with those gorgeous colors and my oh my! The prizes just keep getting better and better. Love Jillibean papers and all the products and Sizzix was where I got my first dies. Would love to try the Casual Friday stamps. Never played with those before. Thanks for the fun chance tow in. What fun to scrapbook with these lovely papers and stamps for our next birthday celebration! I’m totally in favor of celebrating a birthday month! All the best. AMAZING!! So creative and crafty! Love it! Super cute birthday card! THANKS for the chance to win! Happy Day#9 of your 11th Birthday Celebration! What an amazing prize pack! I hope you all are having a wonderful birthday week. Thank you SCT!! Fabulous giveaways and great inspiration! I’d love to celebrate with a win of the celebration pack. Thanks to all the sponsors and of course SCT for these opportunities! Marla …Love your CREATIVE birthday CARD for SCT!! Thank you for sharing and giving us detailed directions! I really would like to try making something similar because the process sounds fun! I am AMAZED at ALL the prizes…thank YOU SIZZIX, Jillibean Soup,and CAS-ual Fridays Stamps for a chance to win!!! Such a beautiful birthday card!! Another amazing set of wonderful prizes from such incredible sponsors. It sure has been a great birthday celebration!! Thanks for the invite to the party!!! Can’t wait to get my hands on the JBS line! 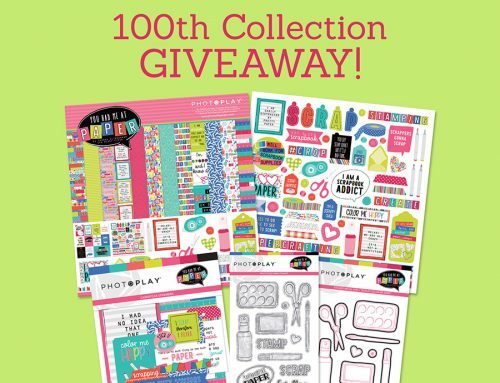 These fun giveaways would really add some fun to Birthday card creation! Happy Birthday SCT. Thank you for your generous friends. What a nifty card and such fab prizes! Love all these prizes so far! Loving it all !! Hope 9 is my lucky number. Happy Birthday SCT! Great Card. So much fun. Wow! Thank you for the chance to win some great items!! Happy bday! thanks for the prize opportunities! More great ideas for card making. Thanks to your partners in helping to celebrate your 11th Birthday! Can’t wait to see what the next 11 years hold! Love me some Jillibean Soup! Met Jill years ago at a scrapbook convention. She is awesome! Cute fun and colorful papers and ideas. Thanks for sharing. This party keeps getting better! Thank you for a chance to win. Awesome card! Love the foiling! And thanks for these amazing giveaways! I love the bright colours! It’s been a grey winter and these brighten your day! Cute card and giveaways today!! Happy 11th Birthday SCT!! love all the sparkle on the card – it’s gorgeous! thanks for the chance to win another set of wonderful giveaways! So in love with this birthday card and prize pack. Can never have enough birthday theme products & tools. Thank-you! Happy birthday SCT!Super cute card and fantastic giveaways!Thank you! What great prizes and lovely cards!! Thank you for the chance to win!! The card is beautiful. Stars always shine brightly. Like it says…. Make a Wish…. This pack is going to me mine. Congrats on another day for awesome ideas. Colors and themes and cuteness, oh my! Love everything about this prize! Marla really knows how to rock these cute products from Echo Park and Jillibean Soup; of course, Sizzix makes it all so much more fun with their ‘cutting edge’ products!! Thank you for the chance to win this prize!! Thanks for the chance to win these fabulous prizes. What a fun card. Thanks for the great giveaways SCT! Happy birthday…great ideas all round! SO nice of Jillibean Soup, CAS-ual Fridays Stamps, and Sizzix to join in the anniversary celebration! Great collection of goodies! Thanx for the inspiration and blog candy opp! HaPpY hAPpY BiRtHDaY SCT ! ,,,thanks to the sponsors and thanks for all your hard work SCT for inspiring us and keeping it fun ! Fun card and amazing giveaway. Thanks SCT and sponsors. Another great day with fun ideas! I’m so inspired ? Love love love this card! The prizes are pretty awesome, too! Thank you for all the giveaways and fun over the years. Another wonderful day of prizes!! Some people– me?– are going to be very happy!! You always get great donations from the best companies. Love SCT, Happy birthday. I love JillbeanSoup…can’t wait to get my hands on some of those awesome products here in South Africa. SCT has the best sponsors! The giveaways have been absolutely amazing! Wow, wow, wow! The Day 9 winner will be a lucky person! Lovely cards. Thanks for the chance to win. Happy Birthday. Wonderful birthday celebration and lots of inspiration! Love you SCT! Happy Birthday to you! Love the Jillibean Souper Celebration Collection…especially those puffy stickers. They are super cute. Love Marla’s fabulous card!!! You really cannot go wrong with foil!!! WOW – there is eye candy here today – love these ideas and the prizes are totally cool!! These are fun birthday projects!! I’ve been looking for a great birthday line so this celebration has been perfect for spotting some great ones! Love that JBS! Really great companies with really great prizes. Love that shiny card! What an amazing assortment of prizes in today’s giveaway!